We came across a fun new page while browsing along! 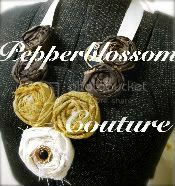 Isn't this such a cute idea! At Beach Vintage Simone Georgette gives all kinds of ideas about decorating, crafting and everyday life things! Here she gives us a sneak peek at a little piece of her kitchen! How do you get this look? Grab a plate rack, paint it how you want and beat it up and sand it a little to give it that worn out shabby feel, then find a stud to hang it for you! Then keep a watchful eye! Anytime you see a random plate that you love... grab it! We all know how great thrift stores and ross are for random plates!
" If there's one thing I love it's mismatching." She says! And we agree! So cute! She will be posting more pictures from her adorable house over the next week or two so check back at her page for more fun and inspiring ideas! Let us know how it works for you! 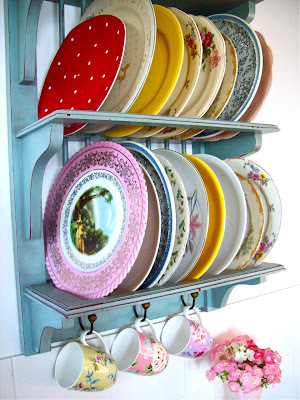 I love the plate rack idea!! iTS SO CUTE ! !